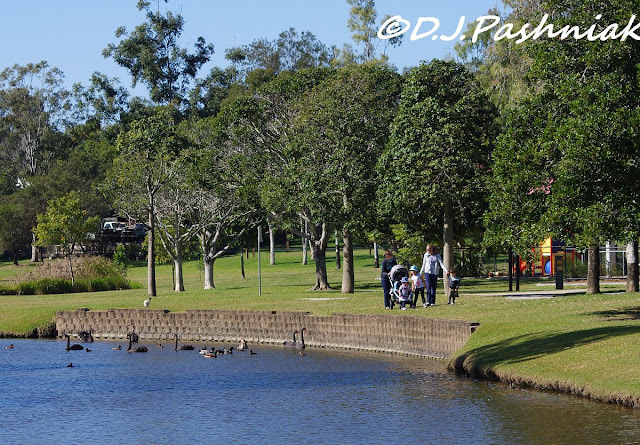 The other day I visited Lake Alford in Gympie. 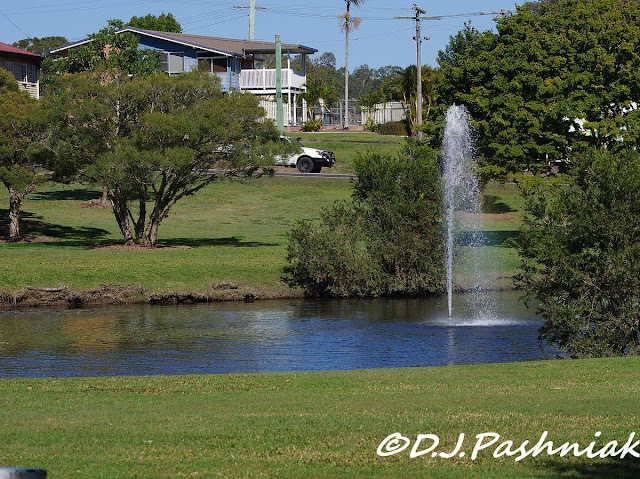 This is a small lake right next to the highway coming in to Gympie. It is surrounded by well mown lawns, concrete paths and picnic tables. The ponds are filled with all the more common water birds - but these are ones that I don't usually see out here on the bay. They are easy to photograph because they expect hand-outs from visitors! I was photographing birds on one end of the pond when they all took off for the other side of the pond. There were several mothers with small children that were happily throwing food to the ducks and whatever other birds came over. 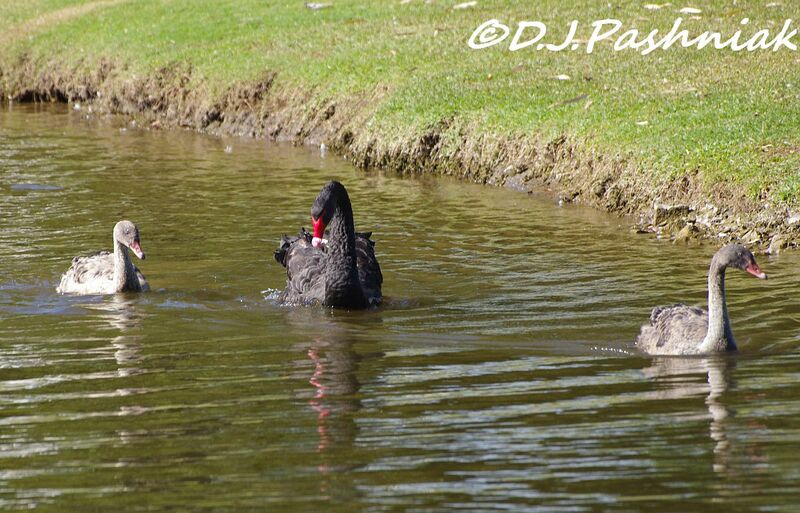 I always look for the pair of Black Swans that are usually there but this time there were about 10 of them. I found it hard to get a good count as I was focused in on my photos and they were constantly moving. There was one pair with fairly young juveniles. The young ones were still in their grey plumage. The numbers and varieties of ducks changes with the seasons. 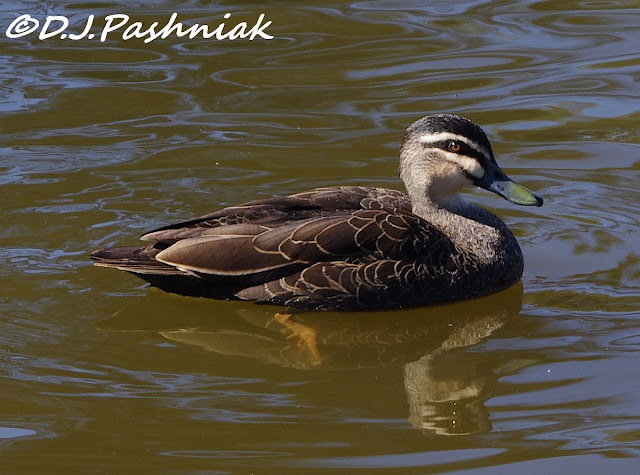 This is a Pacific Black Duck (Anas superciliosa).It is common over most of Australia where there is water. This is a Hardhead (Aythya australis). This is a male - the female has a dark eye. 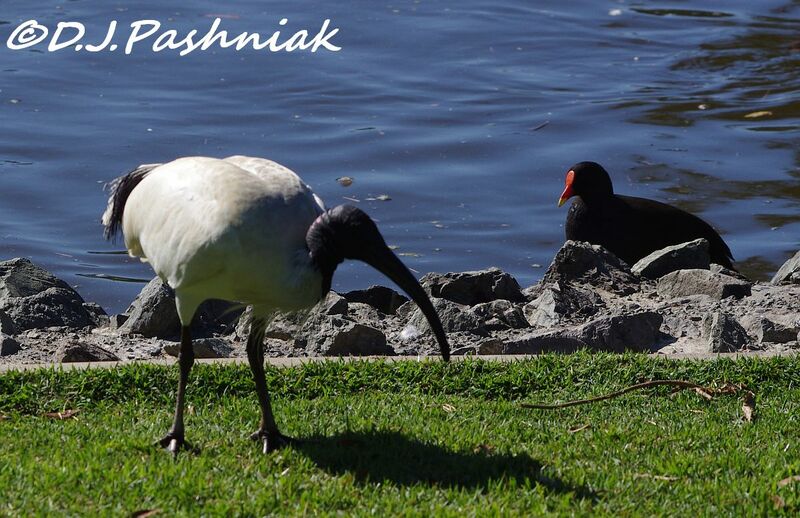 These two birds are very common - an Australian White Ibis and a Dusky Moorhen. I only looked at the main pond but if you walk around and watch carefully there are lots of other birds around. Go over to my friend's blog (Out and about in Cooloola) and see what she photographed just one day after I went there! Even the most common of birds are interesting to observe. What a great place to see the birds, they look close. 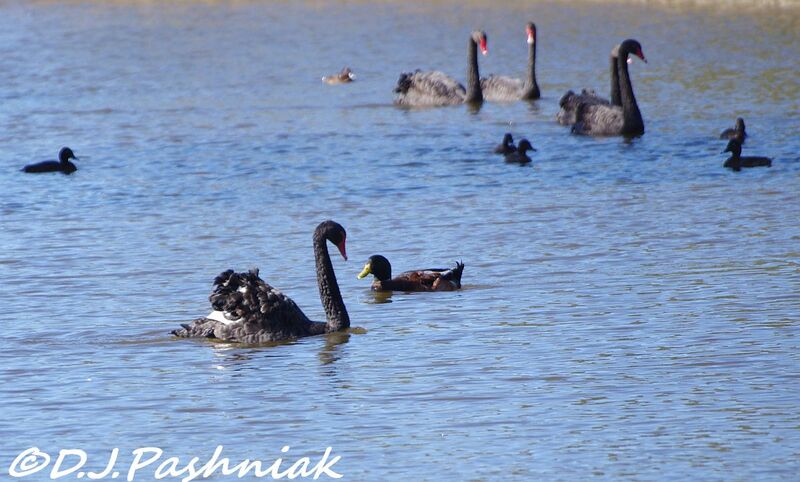 I love the black swans, ducks and the cool looking Ibis. Great photos, enjoy your week ahead! Such beautiful photos for the day, Mick!! Oh, and I do LOVE those black swans!! Fantastic!! Thank you so much for sharing these with us today!! Have a great week!! 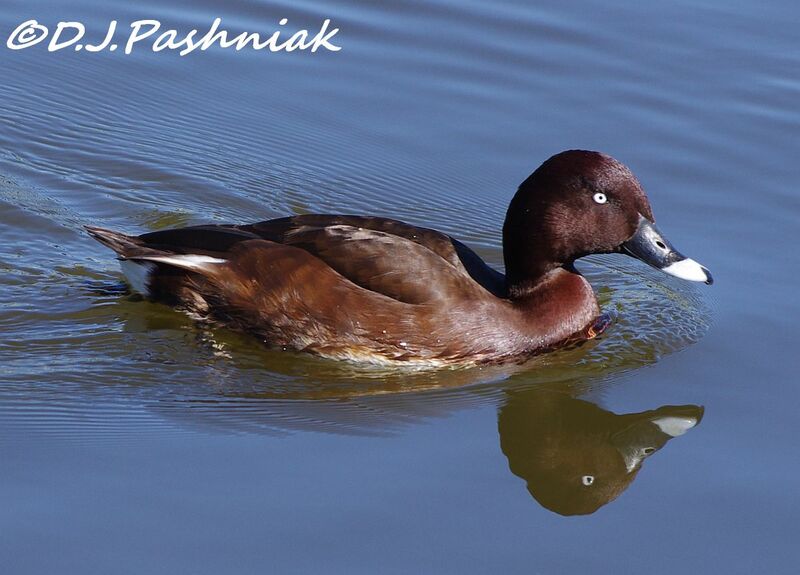 Beautiful photos of all the birds at the Lake Alford the Hardhead reflection is great. The back swans are so elegant and beautifully shot by you. Very interesting to see the Hardhead, a relative of the other athyas we get here - Pochard, Tufted Duck and Scaup being the main ones. 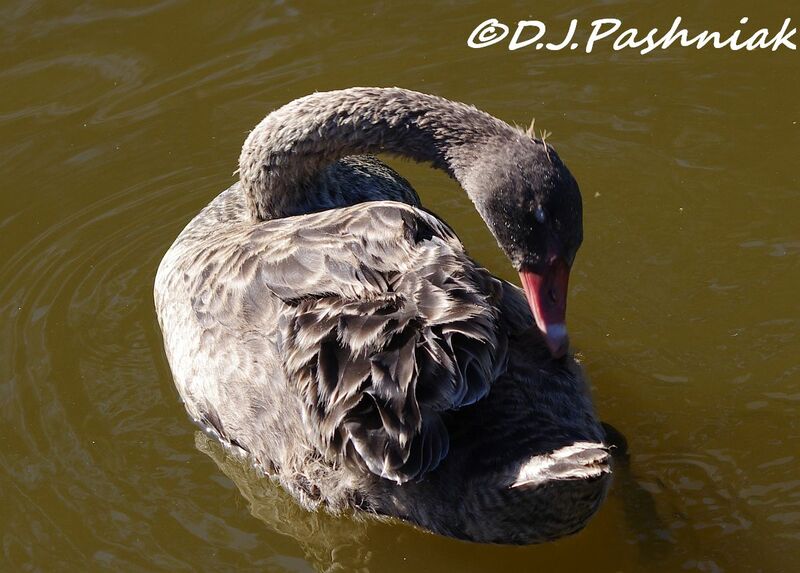 Loving the beautiful park...but am thrilled with all your swan photos!!!! Lovely waterfowl. Like the look and name of the Hardhead. It is a lovely place for a wander and a good number of birds.Lovely tosee the BlackSwans and their young. WOW WOW WOW! I've heard about Black Swans and they are amazing but the ducks! Those are brand new to me. What a great place to stop and count birds. I would love to explore spots like these. Great photos. A Hardhead...what a name! The black swan is a beauty. I have seen it a couple of times in different places. The way it lifts the plumage looks odd. Not at all like the Mute swan. Beautiful swans and ducks, and really nice photos! We just saw white swans out on an man made lake. Black would be even better. Beautiful swans! Loved the ducks, ibis and moorhens too! What wonderful shots of mostly exotic (to me) waterfowl. And as you say, quite different from you. I enjoyed it. Good to have accessible wildlife... for kids and old people;)). Lovely shots. The black swans are especially handsome birds. Beautiful birds and wonderful photos. 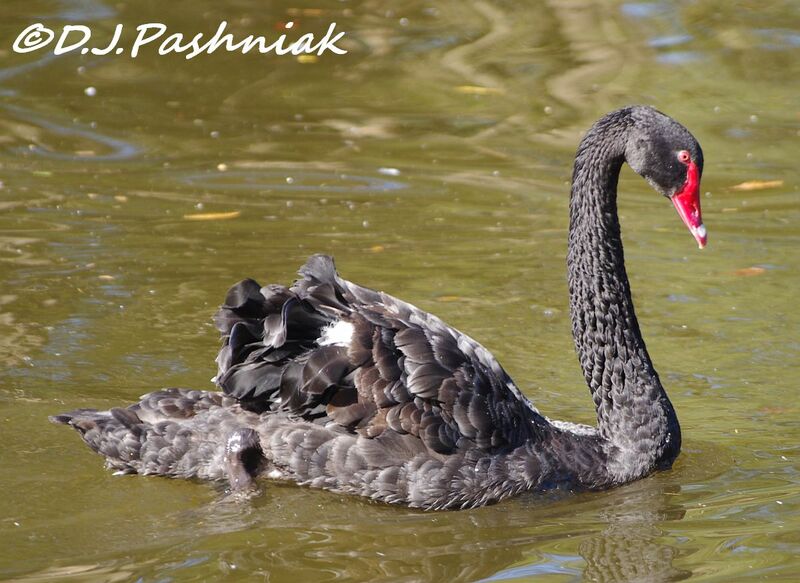 I often wonder what sort of conversations went on when Europeans first saw black swans. I think they must have been a bit surprised to say the least. 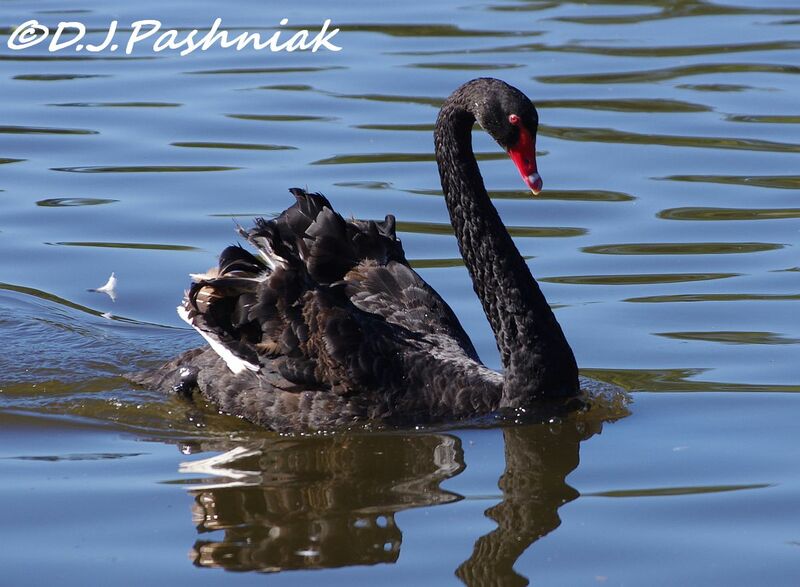 I love the black swans. We don't have them here. What a nice sunny relaxing spot...you don't see many types of those birds here just the more common varieties. Superb collection of flora and fauna! I loved the Galah in particular - like nothing I have ever seen before!